Do you live or work in the UK and are curious about playing at an online casino? Whether you’re a complete newbie or a seasoned punter, read on to find out more about the online gambling laws in the United Kingdom, the best casino sites for UK residents and how you can play real money games using GBP from the comfort of home. The United Kingdom is made up of four countries: England, Scotland, Wales and Northern Ireland, and is commonly referred to simply as the UK or Britain. The UK lies just off the coast of Europe, separated from France, Belgium and The Netherlands by the English Channel. It has the fifth largest economy in the world, as well as a high-income economy and was the world’s first ever industrialised country. The capital city is London, which has an urban population of 10.3 million, making it the fourth largest city in Europe. Gambling is a popular hobby in Britain, with studies showing that 45% of people over the age of 18 will gamble within a four-week time frame. The most popular age bracket for gambling is 45-54, although people are starting to gamble at a younger age with the prevalence of online wagering and sports betting. In 2015, UK residents spent over £12.6 billion on gambling. 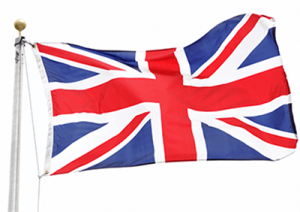 The United Kingdom is one of the only countries where the laws regarding online gambling don’t present a grey area, with legislation updated to include all forms of remote online betting, including casino gaming, sports betting, lotteries and poker. Residents of the UK are free to gamble legally and safely for real money online, provided they meet the minimum age requirement of 18. Preventing gambling from becoming a source of crime or disorder, being associated with crime or disorder, or being used to support crime. The Gambling Commission oversees all forms of online betting, including the National Lottery, and holds the power to issue or revoke online licenses and impose fines for anyone acting outside of the laws of the Gambling Act. Only gambling businesses operating from within the UK can receive a license from the Gambling Commission, but the Commission has also approved several offshore jurisdictions that may legally service UK residents, including Isle of Man, Antigua, Gibraltar and Alderney. As online gambling is entirely legal in the UK, nationals are spoilt for choice when it comes to choosing an online casino site to play at, with many of the best casinos in the Web licensed by the UK Gambling Commission. However, just because online gambling is legal in the UK, it doesn’t mean all online casino sites accept UK players, so always check the terms and conditions of a casino site before signing up for an account. Our top-rated online casinos that welcome players from the UK are listed below. Click on our links to sign up for an account at any of these reputable casinos and you can check out the welcome bonuses like extra spins, fair spins and matched deposits. Always read the terms and conditions, and keep an eye out for the wagering requirements. Guts Casino – A leading multi-provider casino offering games from big names including Microgaming, NetEnt, Quickspin, Yggdrasil, BetSoft and Evolution Gaming. You’ll find a large collection of casino games from the slots to the scratchies, including an exquisite live dealer casino suite. Guts.com is known for its rotation of excellent promotions available exclusively for registered players, so it pays to be a member. Leo Vegas Casino – Leo has won more awards than we can keep track of, including accolades for best mobile casino. While the desktop site is fantastic, the mobile casino is second to none, offering both instant-play and a downloadable app for both iOS and Android. Leo Vegas also offers the most comprehensive live dealer casino on the Web, with live games from all leading software developers. G’day Casino – This may be an Aussie themed casino, but G’day warmly welcomes British players, drawing people in with an offer too good to refuse – a 100% matched deposit bonus up to an unlimited amount on your first real money deposit at the casino. G’day offers all the casino classics, including slot games, blackjack, roulette, poker, scratchies, bingo, live dealer and even virtual sports games. Dunder – Dunder is a comprehensive online casino that offers games from leading software developers including NetEnt, Microgaming, Play’n Go, Rabcat, Quickspin, Thunderkick and many more. You can search for slot games using detailed theme categories like fairy tales, crime, mythology and retro, making it easy to find a game that suits your personal tastes. Dunder also offers a great selection of table game, all which are available for instant-play directly over your Web browser. Thrills – Thrills is the place to go if you’re looking for a bright, cheerful site to play real money casino games. The casino is beautifully designed, while still maintaining an extensive collection of casino games, from slots to table games, with a large collection of live dealer variants available. Players can take advantage of a great welcome package as well as ongoing one-off promos. The Thrills mobile casino provides a solid platform for portable play using your smartphone or tablet. Roxy Palace – Roxy Palace is powered exclusively using Microgaming software, which is one of the most revered online gaming companies in the world. Players have the option of instant-play or downloading Roxy’s premium casino software. The casino recently underwent a makeover, making it more user-friendly than ever. If there’s a casino game you’re looking for, chances are you’ll find it at Roxy Palace, with mobile games also available. The UK Gambling Commission takes the advertising of online gambling services very seriously and as such, new guidelines were introduced in October 2017 in conjunction with the Advertising Standards Authority (ASA) to make sure all casino operators and affiliates adhere to strict rules when advertising gambling products and promotions. As part of the new guidelines, operators and affiliates must not use any terminology that is deemed misleading or predatory, and as such UK casino sites are no longer allowed to use the term “free spins” when referring to bonus spins that come with a wagering requirement attached. New terms like “extra spins” and “fair spins” have been introduced to clear up this discrepancy, you can read more about extra/fair spins here and find out how they differ from traditional free spins bonuses. The GBP is widely accepted at online casinos, so British players will have absolutely no trouble depositing using their local currency. In fact, players are only allowed to use GBP if their account is registered from a UK address, meaning players from other countries are restricted from using this currency method. British players may also choose to deposit using EUR where accepted. Many players are under the misconception that playing at an online casino means you’ll be left in the dark if an issue arises, which simply isn’t the case. All reputable, licensed online casinos are supported by a dedicated customer service team, who you can contact with any queries or issues you may have. Live chat functions are often available, with help available 24/7 – check the contact page of your chosen casino for further details.